Basalt’s municipal election isn’t until April 3, but the campaign is likely to ramp up well before that as ballots will be mailed out the week of March 12. Six candidates threw their hats in the ring for three at-large positions on the council. The Aspen Times is running an introductory Q&A with the candidates today and will follow up with questions on specific issues in mid-March. Expect the resolution of the Pan and Fork property to loom large in the election. Five of the candidates specifically listed reaching a settlement on the use of the controversial property as among their top three goals. The sixth candidate indirectly alluded to the Pan and Fork. Four candidates reside in the main part of Basalt — two from Old Town Basalt and two from the Elk Run subdivision. But there’s also geographic diversity. One candidate is from Southside and another from Willits. All three of the terms are for four years. The pay is $12,500 per year. Family: My wife is Donna. We have three grown children. Time in Roaring Fork Valley and Basalt: I have lived in Elk Run in Basalt for the past 20 years. Neighborhood where you live: Elk Run. Prior community service: I served on the Basalt Planning and Zoning Commission for seven years, the last two as the chairman. I also served as the treasurer and then the vice president of the Basalt Regional Library District. I acted as the chair of the Basalt Kilns Committee, which helped the town secure $300,000 in state funding to preserve the Arbaney charcoal kilns. Why do you want to serve on the council? : I am running for the council because I would like to see Basalt retain its charming, small-town character, while welcoming appropriate development. I want to preserve our commitment to open space, clean air and water, and allow for smart growth. Briefly outline three issues that would be your highest priorities over the next four years: My No. 1 goal, if re-elected, would be to oversee the development of the Pan and Fork riverfront parcel as soon as possible. I believe the most expeditious course is for the town to purchase the entire parcel, retain 1 acre for additional parkland and sell the acre nearest Rocky Mountain Institute for a reasonable development. I would also like to see the town engage in more partnerships to produce a larger attainable and affordable-housing inventory, so all income groups could enjoy living in the town. My third priority — the integration of new bike and pedestrian trails to reduce the dependence on vehicles. Occupation: I’m the arts and special sections editor at the Aspen Daily News and a freelance writer. 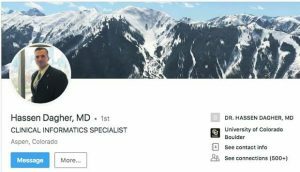 Family: My wife, Cindy Hirschfeld, is the editor of Aspen Sojourner. Our son, Griffin, goes to Aspen Community School. Time in Roaring Fork Valley and Basalt: I moved to Aspen in 1992 and to Basalt in 2004. Neighborhood where you live: Southside, by Basalt High School. Prior community service: I’m on the board of the Andy Zanca Youth Empowerment Program, and I have coached numerous youth baseball and basketball teams through the Basalt Recreation Department. Why do you want to serve on the council? 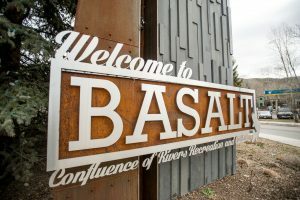 : I think Basalt politics has become divisive and bitter over the last few years, pitting neighbor against neighbor, and I think I can help ease the dysfunction while helping Basalt manage growth in a smart way that benefits locals and visitors alike. 1. I would like to finally put the Pan and Fork question to rest. I think if we all take a step back and a deep breath, we can figure out a compromise that the entire town can be proud of. At the same time, I think we’re too laser-focused on that issue to the neglect of some other important ones. 2. I’d like to get the ball moving on an underpass or overpass from Big O to the post office, connecting Old Town and Southside. Given the ongoing and upcoming development in and around Southside, plus all the residential development in the pipeline in Willits and El Jebel, I think this connection will be necessary soon. Without this connection, Southside (and any development south of the highway) will always be a problem. With a connection, south Basalt becomes an asset and a place where we can fit more affordable housing and public-serving businesses. 3. I’d like to see the Tree Farm development taken off the table or scaled way down. I think it would cause huge problems for the midvalley and contribute to a glut of housing that would have an adverse effect on everyone’s property values and quality of life. 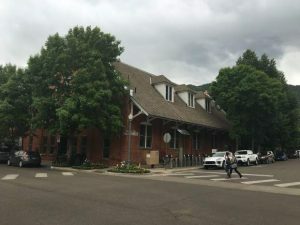 That being said, I’d also like to get people thinking of Basalt as a fairly big town that includes everything from Old Snowmass to Blue Lake, and not just the little Victorian train depot it was 100 years ago. We need to accept the fact that we’re probably a bigger town than Carbondale at this point and nearly the size of Glenwood Springs. Family: My husband, Jud, is the general manager at the Aspen Meadows Resort and we have two children, a daughter and a son both off in college. My mother, Nancy, now lives with us after moving to Basalt from Massachusetts two years ago. Emma, Izzy and Boots are our rescue dogs. Time in Roaring Fork Valley and Basalt: My husband and I first arrived in 1992 when the opening of the Ritz-Carlton Hotel Aspen brought us to the valley. We immediately knew we wanted to raise our family here. The Ritz sent us to Florida where both our children were born. We then made our way to Eagle for about 18 months before making it back to the Roaring Fork Valley in 2000. Prior community service: Most recently I was sworn in as a court-appointed special advocate for abused and neglected children in the 9th Judicial District in Glenwood Springs. 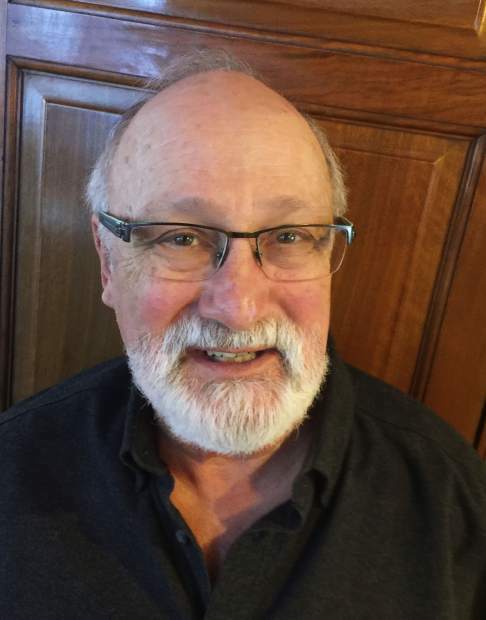 I served as past president of the Sopris Meadows HOA in Willits and currently serve on the town of Basalt’s Parks, Open Space and Trails committee. I am a participant in Eagle County’s Total Health Alliance that will be directing funds from the marijuana tax that passed in 2017 to improve mental health services throughout Eagle County. In the past I have served on the board of the Aspen Education Foundation, Friends of the Aspen Animal Shelter and the parish council for St. Mary Catholic Church in Aspen. Additionally, I have spent countless hours volunteering at my children’s schools, church and fostering and transporting rescue animals. Why do you want to serve on the council? : Having been a political-science major in college, I have always been interested in politics and communities. I want to represent my community in a positive and constructive way. I believe in clear communication, being open, accessible and transparent. Briefly outline three issues that would be your highest priorities over the next four years: First the important stuff. I would like to see more of our community’s needs met with a higher level of service. Stott’s Mill and the new Habitat affordable-housing projects are exciting, and I would like to see more. We need more child care options, better maintenance of our current parks and open space and we need appropriate housing for our senior citizens. I would like to look into the possibility of a dial-a-ride or shuttle between Old Town, Southside and Willits. I believe strongly in maintaining the mental wellness of our community by providing support services for mental health and substance abuse. I would encourage the formation of an economic development council that works at helping our business owners, and encourages start-ups to grow their business by offering helpful resources and potentially public/private partnerships that may help fill up some of the vacant spaces throughout town. Additionally, I would like to see our various town departments fully staffed. There were requests made for additional employees that were not budgeted for. We are financially healthy and I would like to see less work contracted out and more town employees invested in our community. Clearly the Pan and Fork is an issue facing town. I believe our community has spoken by voting down the ballot issues asking our citizens if the town should purchase the remaining land in 2016. I voted in favor of the first $5 million bond in 2013 because I believed it was the right thing to do for town and that river property. The idea that the current council is trying to circumvent the most recent vote by purchasing the land without another vote of the public, I believe, is fiscally irresponsible. I would like to see Town Council formally zone the parcel along the lines of what Our Town planning came together with so that a developer can purchase that land and submit a land-use application consistent with the zoning the town wants. I would love to see more park dedicated to the town by the future developer, but until a developer is clear as to what can be built on that property I do not see the Pan and Fork moving forward. Third, I would like to see our relationship with Eagle County strengthened. The Tree Farm created tension between our town and our county. I am neutral on the Tree Farm. I do believe development along Highway 82 is where it belongs and I have watched the evolution of the Tree Farm and believe they have listened to the community and reduced its scale. I am concerned about our resources and services: fire, police, water and schools. I attended the first Mid Valley Community Plan meeting and look forward to following along with the process of improving on the future we all see for the midvalley. Occupation: Economist with experience in banking, finance, international development. Family: Married 24 years to Betina Moreira Infante. We have two incredible kids, Rafaelo Matias Infante (20) and Sofia Lelia Infante (18). Time in Roaring Fork Valley and Basalt: We fell in love with the valley in 2014 when we enrolled our kids at the Colorado Rocky Mountain School in Carbondale. We spent the winter (2014-15) in the valley, and bought our first home the following summer. Neighborhood where you live: Old Town Basalt. Prior community service: Having lived and worked overseas for nearly 30 years, community service was based largely in serving on school boards and business chambers, and in supporting athletic teams and clubs. Why do you want to serve on the council? : My family and I settled in the Roaring Fork Valley after several decades living and working overseas. Over the past 30 years I’ve worked in the private and public sectors, the lion’s share with the U.S. State Department/USAID and the United Nations, for which I served in a half-dozen countries in Eastern Europe and East Asia. I’ve studied a lot of economics and environmental policy, and both have influenced my thinking and development approach which is anchored to promoting democratic values and civic/social engagement, investment in education that nurtures a next generation of leaders and thinkers, and to responsible resource use and sustainable and inclusive development. As a Basalt resident and business owner, I am interested to share global perspective and relevant experience as a member of the Basalt Town Council, and thereby contribute to our extraordinary community. Land use: The issue relates to decision-making that addresses both the physical allocation of land (residential, commercial, agricultural, other) in a manner that preserves open space, and accommodates varied economic, historic and environmental values, as well as the fiscal implications of land allocation which have bearing on county and municipal budgets. Among the more innovative initiatives that models the future possible was advanced by Pitkin County Open Space and Trails which pioneered a farm equipment-sharing program that reduces the cost of farming and thereby contributes to preserving open space and the valley’s agricultural heritage, contributing to local value chains that deliver nourishing locally grown food produced by entrepreneurs who add economic vitality. Road — Traffic congestion which may be mitigated using a combination of carrots and sticks, including expanded mass transit, cycles, user fees, etc. Cable TV and internet — high cost/poor service. Increase options through opt-out provisions paving the way for rural broadband. Affordable and attainable housing: Imperative in order to recruit and retain a demographically diverse population of knowledge-based and skilled leaders and thinkers who represent our next generation of public servants, teachers, medical professionals, entrepreneurs and service staff who will support the development of our community and county. Occupation: Vice president of business operations AllOver Media (maps on the chairlift). Family: Wife, Dr. Bonnie Abercrombie, two children, Hudson, 3, and Hazel, 1. Time in Roaring Fork Valley and Basalt: 11 years. Neighborhood where you live: Old Town. Prior community service: Six months on Basalt Planning and Zoning Commission. Why do you want to serve on the council? 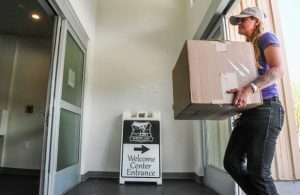 : I feel my 11 years living and working in Basalt, searching for rentals, saving to buy a house, starting a family, and searching for child care give me unique perspective to help continue to move Basalt in the right direction. Briefly outline three issues that would be your highest priorities over the next four years: Maintain a fiscally responsible town budget, manage our inevitable growth responsibly, and find a solution for the Pan and Fork. Family: Suzanne, my supportive and amazing wife, and son, Jared, who is an awesome kid! Time in Roaring Fork Valley and Basalt: Moved to Basalt when I got to the Roaring Fork Valley 16 years ago. Prior community service: Currently on Town Council and served previously on Town Council from 2006 to 2010. Also, was a member of the Eagle County Open Space Board 2012 to 2014. Why do you want to serve on the council? : I really enjoy living in Basalt and feel there is a lot more to accomplish, so I would like the opportunity to keep going and provide my energy and leadership to find solutions to the issues facing the town in 2018 through 2022. Collaborate with the community, Planning and Zoning Board, other members of Town Council, and town staff to update the 2007 Basalt Master Plan and work really hard with Eagle County to have their master plan update be consistent with the town’s. Then update the town land-use code to reflect 2018 realities on residential development and encourage businesses to establish and locate in Basalt. Work with the community on a solution for the Pan and Fork/Community Development Corp. parcel. Explore and pursue sustainable funding for a healthy community specifically focusing on early child care, Basalt schools, affordable housing, and health and human services. Developing an early child care center in Willits is a priority.